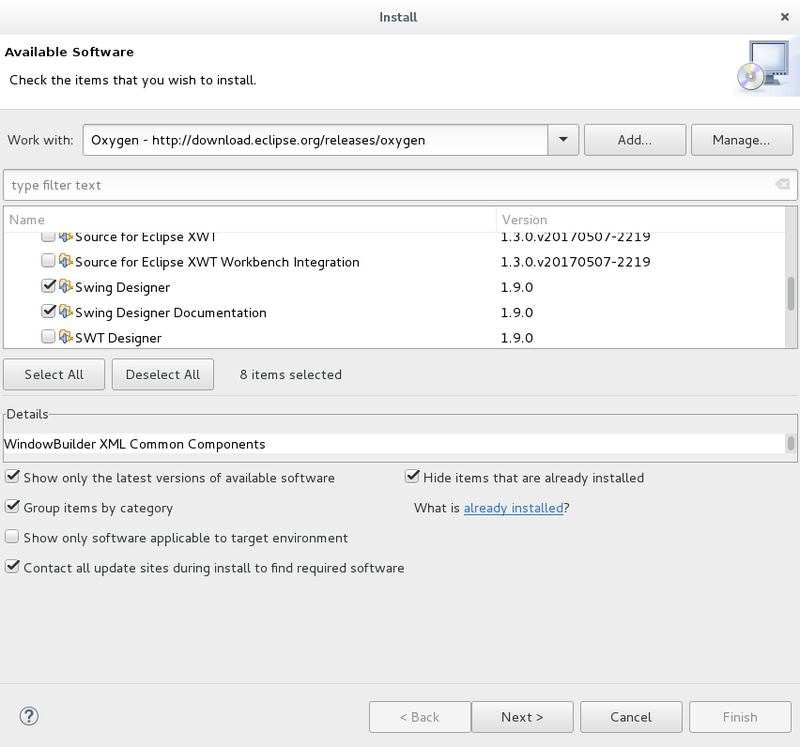 In the top panel of Eclipse, select Help > Install New Software. In the Work with drop down, select http://download.eclipse.org/release/*. At Install Details, select Next. At Review Licenses, select I accept the terms of the license agreement and select Finish. Select File > New > Other > Java Project. Name the project myJavaSwingProject and select Finish. 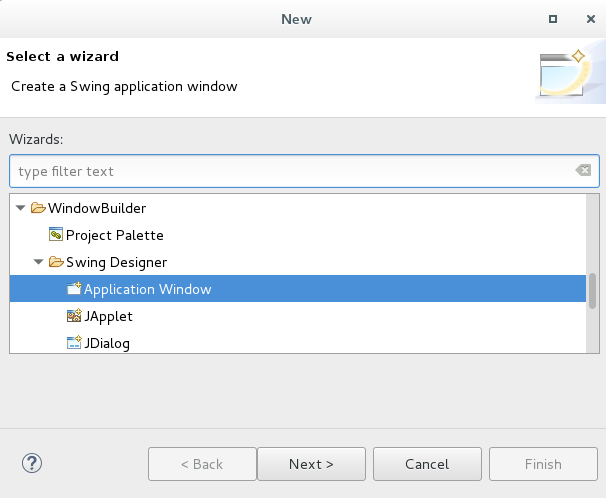 Expand WindowsBuilder, expand Swing Designer, select Application Window, and select Next. Give your project a name, such as mySwingApp, and select Finish. 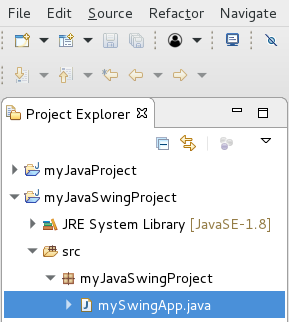 mySwingApp.java should now appear in the left panel of Eclipse. Select the Design tab, and the Swing WindowBuilder should be displayed. Click the green play button, and an empty Java GUI Window should be displayed. 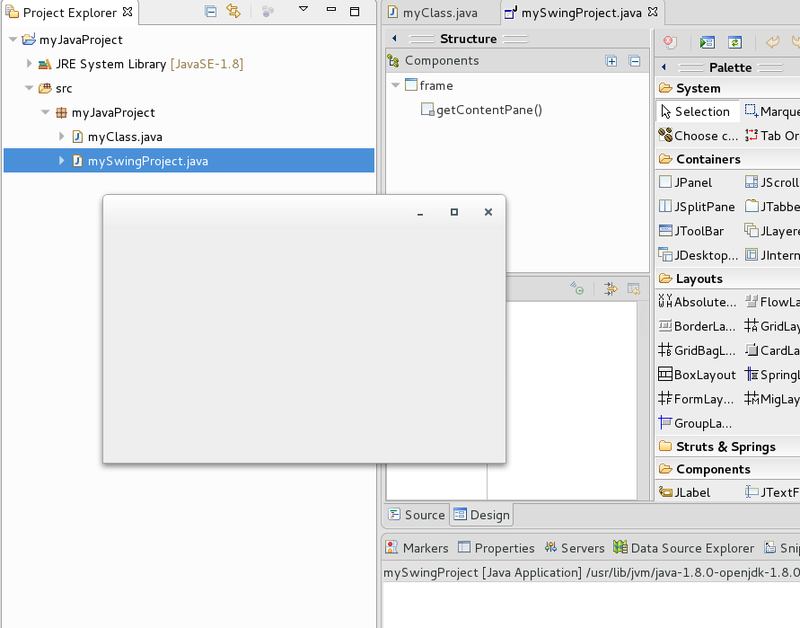 You can also export the project to a jar file, and the run the jar, and the empty GUI window should be displayed. 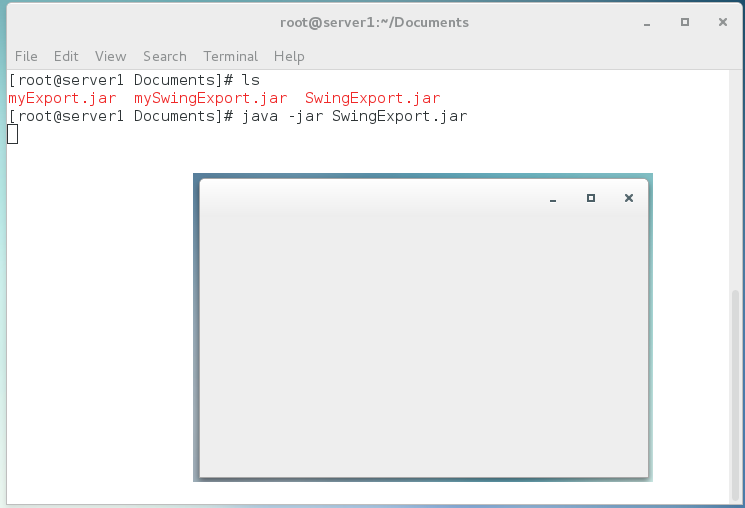 In this example, the jar file is run from a Linux command line, and the empty GUI is displayed.